Let’s ask a question what is common between all the Bollywood divas like Deepika Padukone, Vidya Balan, Zareen Khan, Sushmita Sen, Diz Mirza, Karisma Kapoor, Madhuri Dixit? Substantially, when these ladies go up for public appearance in ethnic wear most of the times what they choose to wear are Anarkali Suits. Anarkali Suit made its comeback in late 2012 and since then, it has been rocking the fashion show ramps. Almost every Bollywood diva has boasted the Anarkali look. Moreover, all the marriages in this season have been flooded by Anarkali Suit. Even Sarees have got tough competition from Anarkali Suits. Anarkali suit is very popular among all age women now days. This suit is very frequently used by teenagers on several occasions in India and worldwide also. So try Anarkali suit and feel its charm! Well, let’s start from what Anarkali Suits actually are? An Anarkali Suit is a combination of long Kurta and bottom that is usually in the form of Churidaars. The length of the kurta varies according to a person’s selection. Nowadays, floor length Anarkali Suits are trendy. The kurta is fitted on the bust and have long plates just like a beautiful umbrella. Where the name came from? Anarkali which means pomegranate blossom was a legendary slave girl from Lahore (Pakistan) during the empire of Akbar. She was a dancer of the great Mughal Emperor Jalaluddin Akbar. The son of Akbar, Salim fell in love with Anarkali and when the emperor came to know about this, he ordered to bury Anarkali alive because of having a relationship with his son. 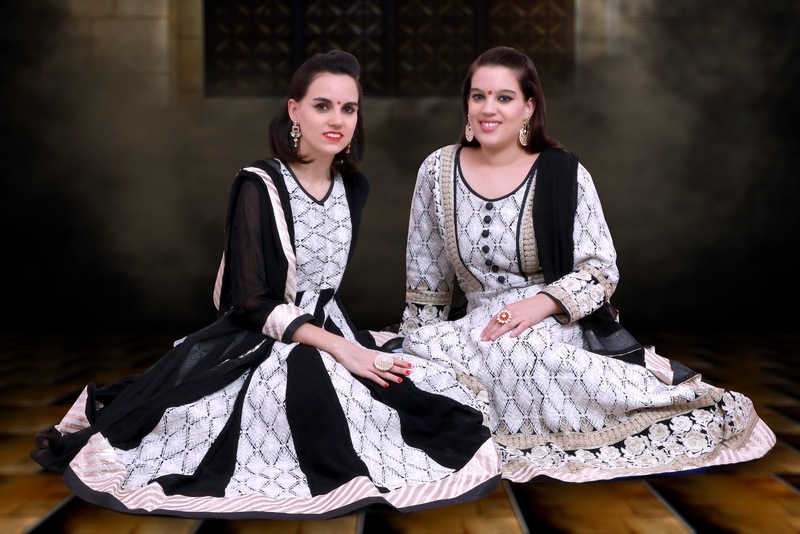 Latest designs of Anarkali Suits which are popular involve floor length Anarkalis with different prints, embroidery, sleeves, materials and stylish necklines. Kameez in Anarkali Suits is heavily embroidered. The upper part of Kameez which could be roughly called as Choli is completely embroidered with the bottom with a heavy border. The Choli have latest designs and patterns on neck and on sleeves. Times of India in article called this dress – a sophisticated, elegant and call it to work like a charm. You can easily hide your problem areas of your body by wearing this dress as well. Anarkali Suit gives traditional look with the essence of modern trends. Heavy Anarkali Suit is designed as per the current fashion trends by cotton, net, lace, chiffon, silk, georgette and crepe. The designs of these dresses are very unique as some have different weaving patterns, colors, intricate embroidery work and others on these. Heavy Anarkali dresses provide them a completely new look. These dresses have several options available in the market like functions, festivals and others as well as daily wear that is ideal to be worn for work, shopping and other activities. Availability of heavy Anarkali Suits Online helps a person ordering the desired garment on just a click of a mouse, from the comfort of their houses or any other place. Wear the heavy Anarkali dresses make heads turn. The best thing about these heavy Anarkali suits is that they do not need elaborate jelwellery to match with it. Team this with beautiful earrings and bracelets or bangles but ensure you wear heels to make an impressing impact. On the other side, shorter women should consider the asymmetric floor length Anarkalis.